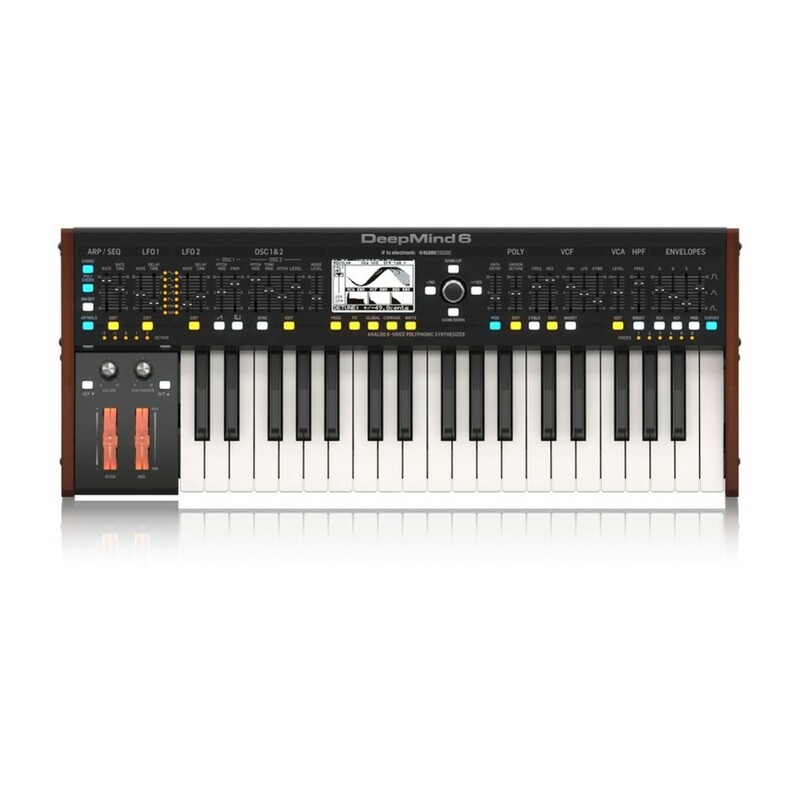 The Behringer Deepmind 6 Synthesizer is a compact yet powerful polyphonic analog synthesizer, building on the success of the original Deepmind synthesizer. 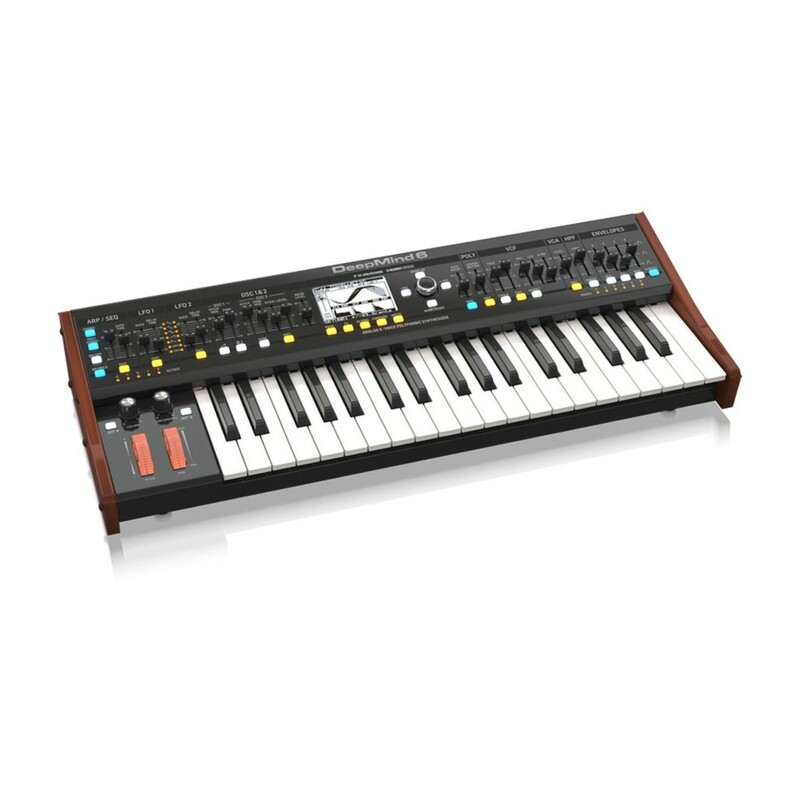 The Deepmind 6 Polysynth retains nearly all of the features of its predecessor, minus the WiFi for truly powerful, analog synthesis. The 6-voice, mono-timbral configuration allows you to create deep and complex sounds with ease. The Deepmind 6 also retains the four world-class FX engines, produced by the world?s leading audio professionals including TC Electronic, Midas and Klark Teknik. The effects engines are based on over 30 diverse algorithms, ranging from Reverbs and Delays to Phasers and Flangers. 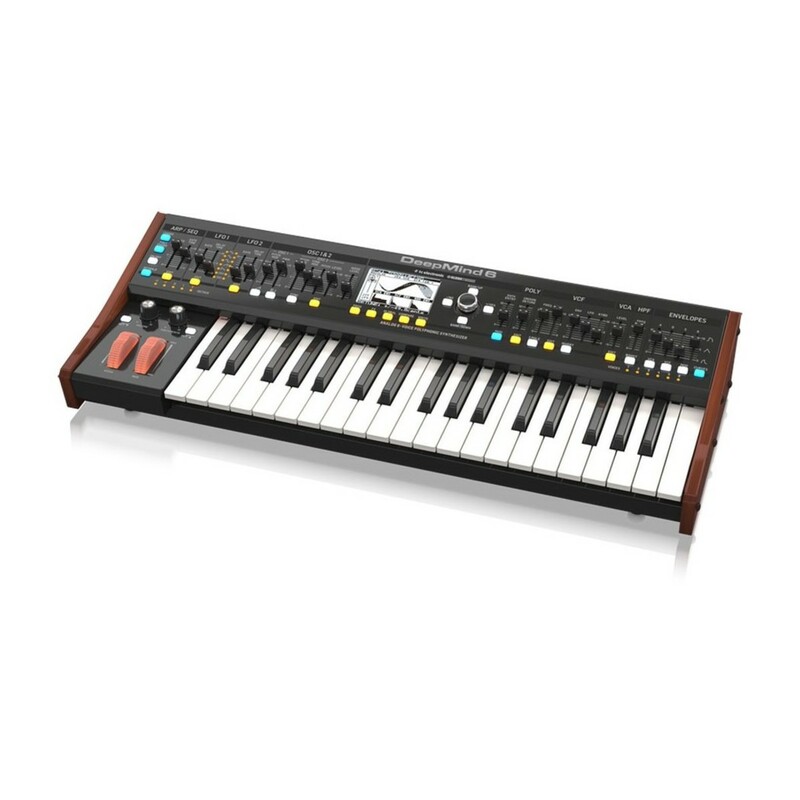 With its smaller size and powerful engines, the Deepmind 6 is ideal for live performers and studio use alike.